Digital Technology has fundamentally changed the manufacturing landscape. Regardless of what industry your factory serves, information technology and connected systems are making it possible to extract value further through the production lifecycle. In fact, manufacturers stand to gain a significant increase in productivity and profitability if they can harness cutting-edge digital technology and adapt their business models to meet this new reality. 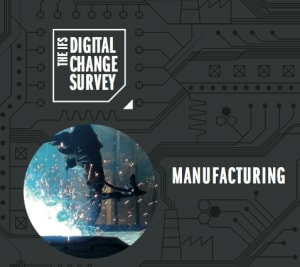 In this 14-page survey from IFS, highlights some of the most important aspect of the shift to a new digital manufacturing landscape. This eBook is sponsored by IFS. To download, please complete the form on this page.